WANT TO INTRODUCE YOUR CHILD TO LOGICAL THINKING? WANT TO CHALLENGE YOUR CHILD BEYOND GRADE LEVEL? 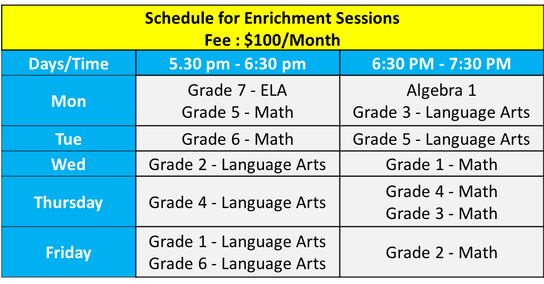 Enriched Language Arts - Children get challenged to work beyond their grade level while learning the mechanics of writing and comprehension with emphasis on grammar & vocabulary. 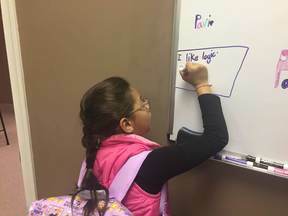 Enriched Math - Children get to work on strengthening their fundamental math concepts and apply them on problems higher that their core grade level.